Glenn Reynolds, Splitsylvania: State Secession and What to do About it?, available at SSRN. Richard Schragger, The Attack on American Cities, 96 Tex. L. Rev. 1163 (2018). Recent years have seen extensive focus on legal and political conflicts between states and the federal government. Dissenting states seek greater autonomy from federal dictates. Ongoing legal battles over Obamacare and sanctuary cities are just the latest examples of this phenomenon. But we have also seen a lesser well-known trend of conflict between states and local governments. Two new articles, by prominent legal scholars on opposite sides of the political spectrum contend that local governments should have greater autonomy from states. They make a solid case that could be even stronger if each side were more able to acknowledge the concerns of the other. There is a long history of academic analysis of state-local relations, and scholars such as Yale Law School Dean Heather Gerken have previously made a case for increasing local autonomy. But these new articles related this longstanding topic to recent political controversies—and to our world of severe political polarization, where the conflicts between opposing parties and ideologies are more virulent than they have been for some time. In Splitsylvania, libertarian-leaning conservative law professor Glenn Reynolds (most famous as the founder of the Instapundit blog) focuses on the plight of conservative rural areas subject to the dictates of urban-dominated state legislatures in blue states. These red jurisdictions chafe at state-enacted labor restrictions, gun control laws, and environmental regulations, among other things. Reynolds points out that their complaints have led to the rise of secession movements in states like California, Oregon, and Washington. Such movements, he argues, “indicate a widespread sense of dissatisfaction among (mostly rural) populations who feel that they are governed by people in distant urban centers who know little, and care less, about their way of life.” While Reynolds is sympathetic to intrastate secession movements, he is pessimistic about their chances for success. He instead argues that the federal government should step in to protect conservative local governments against their state legislatures. From the opposite side of the political spectrum, University of Virginia law professor Richard Schragger, a leading academic expert on local government, has published an important new article on what he calls “the attack on American cities: growing red-state legislative efforts to restrict the autonomy of blue urban enclaves within their jurisdiction.” Schragger describes a wide range of issues on which Republican-controlled state legislatures have sought to override the autonomy of Democratic cities, including immigration, environmental policy, labor regulation, and others. He sees both right-left ideological antagonisms and urban-rural hostility as sources of efforts at state preemption. Ironically, among the key driving forces behind the overbearing state governments of Schragger’s story are some of the very same rural interests that Reynolds views as beleaguered victims of urban-dominated state legislatures. Schragger’s article provides an excellent summary of state preemptive legislation, and assesses the cities’ potential legal and political defenses. He considers “home rule” provisions in state Constitutions and goes through various federal constitutional arguments cities can raise. But Schragger ultimately concludes that the options currently available to cities are severely limited. Federalism arguments that can protect cities against federal intervention—such as the Trump administration’s efforts to punish sanctuary cities—are often of little use when the city is targeted by its own state government. State “home rule” guarantees are also often weak reeds, as most can be overridden by explicit preemptive laws enacted by state legislatures. Without a significant rethinking of state-based federalism, Schragger argues, the American city is likely to remain vulnerable to state preemption. Schragger’s analysis occasionally overlooks or downplays some key facts. For example, he criticizes state laws that allow suburbs to engage in exclusionary “zoning” to protect property values, at the expense of city efforts to promote “equality.” But studies show that some of the most severe exclusionary zoning in the nation—in the form of restrictions on construction that massively increase housing prices and lock out numerous poor and lower-middle class people from job opportunities—actually exists in “blue” cities, such as New York and San Francisco. There is also a notable tension between Schragger’s complaint that cities suffer from excessive centralization of power in the hands of state governments, and his criticism of “anti-government anti-urbanism” for its attacks on the centralization of power created by big cities themselves. Nonetheless, Schragger presents a detailed and compelling picture of how blue cities face increasing constraints at the hands of state governments on a wide range of fronts. Perhaps the most notable gap in the two articles is that neither acknowledges the significance of the problem that concerns the other. Champions of beleaguered blue cities in red states show little concern for (or even awareness of) the plight of red jurisdictions in blue states—and vice versa. Both Reynolds’ rural red enclaves in blue states and Schragger’s urban blue enclaves in red states could potentially benefit from increased local autonomy from state governments. Greater local control might have important systemic advantages, as well. The most obvious is that more people in both blue and red states could live under the types of policies they prefer. In addition, greater devolution of power to the local level can increase opportunities for people to “vote with their feet.” It is usually cheaper and easier to move from one city to another in the same region than to decamp to a different state altogether. And foot voting is often a better mechanism of political freedom than ballot box voting, because foot voters have a far higher chance of making a meaningful decision, and much stronger incentives to be well-informed. It is neither possible nor desirable to devolve every issue to the local level. Some problems are so large-scale that they can only be handled at the state, national, or even international level. Global warming is an obvious example of the latter. The importance of foot voting suggests the need to restrict local control over immobile assets, such as property in land, which cannot be moved in response to exploitative local policies. Such policies also often have the effect of eliminating valuable opportunities for foot voting, most notably in the case of restrictive zoning rules that lock out the poor and lower-middle class, cutting them off from valuable job opportunities. Still, over a wide range of issues in which there is little risk of losing economies of scale or destroying foot-voting opportunities, there are large potential gains from devolving power to the local level. Increasing local autonomy from states will not be an easy task, however. Secession movements aimed at forming new states are one possible route. But, as Reynolds explains, the odds are stacked against them, because breaking up an existing state requires the consent of both Congress and that state’s own legislature. Reynolds advocates federal legislation to protect local autonomy against the states. But it is not clear what incentive Congress would have to pass it. After all, most members of Congress (especially Senators, who are elected in state-wide elections) represent the dominant political majority within their states—the very group whose power dissenting localities seek to escape. In addition, increased congressional intervention in state-local relations might well result in greater imposition of homogeneity rather than less. Both Reynolds and Schragger consider the possibility of state-level reform that grants greater autonomy to localities. Where feasible, this may well be the best option. But this approach, too, usually requires the support of the very same state legislatures that are undermining local autonomy to begin with. 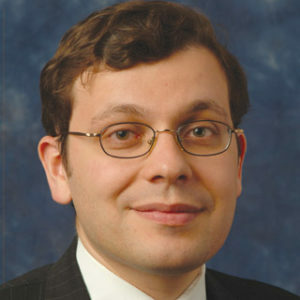 Schragger also considers a number of innovative legal arguments that would enable federal courts to carve out greater autonomy for localities, such as expanding Tenth Amendment “anti-commandeering” rules to protect local governments against the states, in much the same way that they currently shield both states and localities from the federal government. I have doubts about the validity of these theories. In any event, as Schragger recognizes, it is unlikely that the Supreme Court will endorse them in the near future. Schragger does note some political successes that blue cities have had in resisting state preemption. For example, cities opposed to transgender bathroom restrictions enacted by conservative state legislatures have sometimes managed to resist them by mobilizing support from “cosmopolitan” corporate interests, such as major professional sports leagues that threaten to boycott the offending states. Such pressure played a role in forcing the repeal of North Carolina’s transgender bathroom law. He also suggests that in the future, cities might have more success in winning over suburban voters to their cause than has been true over the last few decades. In my view, Reynolds and other commentators may underestimate the potential viability of creating new states through secession. Such efforts are clearly an uphill battle. But state legislatures might agree to them if, as a result, they end up with a more ideologically homogeneous state where currently dominant forces have greater control. Financial incentives might also help lead to agreement—if the newly formed state is willing to give some sort of separation payment or “divorce bill” to its former state government, as the United Kingdom will have to do in order to leave the European Union. Congress, in turn, might consent if secession could be managed in such a way as to avoid altering the partisan balance of power in the Senate. For example, large states such as California and Texas could be partitioned in ways that create equal numbers of new Democratic and Republican states. The creation of new states through secession has occurred a few times in American history, as with the establishment of Maine and West Virginia in the nineteenth century. Perhaps the practice can be revived. Still, doing so is unlikely to be either quick or easy. In the months since Reynolds and Schragger first posted their articles on SSRN, an initiative that would split California into three states has gathered sufficient support to secure a place on the state’s November ballot. Just recently, the California Supreme Court ordered the question removed from the ballot in order to leave time to consider a legal challenge to it; the court did, however, rule that the question might be included on the 2020 ballot. Even if the question is reinstated for 2020, it is far from clear whether the initiative will prevail, and whether Congress will consent to it if it does. But its success in gathering the nearly 400,000 signatures needed to get on the ballot in the first place suggests that the idea of breaking up large states may be more viable than most experts have come to believe. I am not optimistic that we can achieve a major increase in local autonomy from state governments in the near future. But the debate over this question is just starting to heat up again. It is possible that new strategies for devolution can be developed. From that standpoint, increased interest in the issue on different sides of the political spectrum is a hopeful sign. It would be even more helpful if advocates of increased local autonomy on different sides of the political spectrum would take more account of each other’s concerns. Reynolds’ and Schragger’s insightful articles are, we can hope, part of a dialogue that will grow over time. Editors’ Note: Parts of this post have been adapted from a blog post at the Volokh Conspiracy blog, hosted by Reason. Cite as: Ilya Somin, Should Local Governments Have Greater Autonomy from State Governments?, JOTWELL (August 8, 2018) (reviewing Glenn Reynolds, Splitsylvania: State Secession and What to do About it?, U. of Tenn. Legal Studies Research Paper No. 343 (2018); Richard Schragger, The Attack on American Cities, 96 Tex. L. Rev. 1163 (2018)), https://conlaw.jotwell.com/should-local-gov…tate-governments/ .